saving you money today! 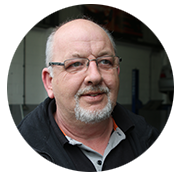 With my 40 years experience you are guaranteed quality of service." 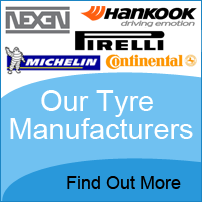 Nitrogen isn't new it has been used in Aviation and F1 tyres for many years. 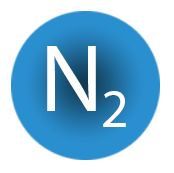 Nitrogen molecules are larger than oxygen molecules this means Nitrogen seeps out 3-4 times slower than compressed air. 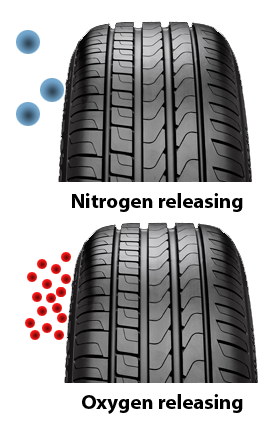 This is a bonus because you will see a decrease in pressure loss in your tyres of approximately 1psi after 5 months. This means your tyre pressure will last for longer periods, therefore saving on fuel, tyre wear and increases the life of your tyres. Another reason for moving away from air is that oxygen causes oxidisation inside of the tyre causing the components to rust because of moisture getting into the tyre. You've heard the benefits now try it for yourself. "BOOK NOW for Nitrogen filled tyres"